My friend from high school, Sarah, is an ace ice-cream maker. I've been running some of my flavor ideas by her on Facebook and she always has helpful tips. When I ran the idea for Cake Batter Ice-Cream by her last month she pointed out that there was no need to reinvent the wheel. She already had developed one. I quickly put her recipe to the test and loved it from first bite. So, Sarah, thank you for sharing your recipe with everyone. You are the best! 1. In sauce pan heat up heavy whipping cream with vanilla bean until just before boiling point. Remove vanilla bean and scrape seeds out. 2. In separate bowl mix egg yolks and sugar. Once cream has heated add a laddle of hot cream to mixture and mix. Return mixture to sauce pan and heat until custard forms [stir constantly]. 3. Let custard cool. Add the yogurt to mixture and chill in freezer for approximately 1-2 hours. 4. In separate bowl sift cake mix. 5. Add chilled mixture to ice cream maker and follow manufacturer's instructions. Slowly add cake mix as ice cream is mixing. Freeze ice-cream for 4-6 hours or overnight. Serve. Anything that involves cake batter and ice cream is good in my book. 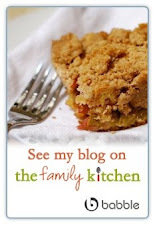 Thanks for stopping by my blog and your nice comments -- back atcha!